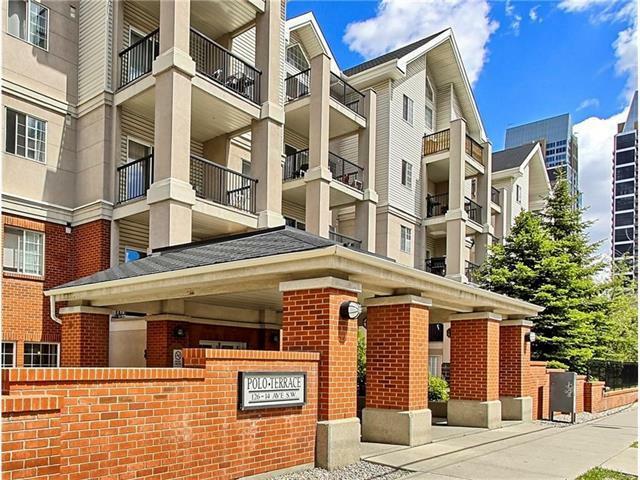 Check out this amazing two bedroom, two bathroom condo, just minutes from Victoria Park, Stampede, fowntown, LRT, and many amenities. Located on the 3rd floor of the Polo Terrace building, this fantastic unit offers many great perks. Boasting over 940sq.ft. 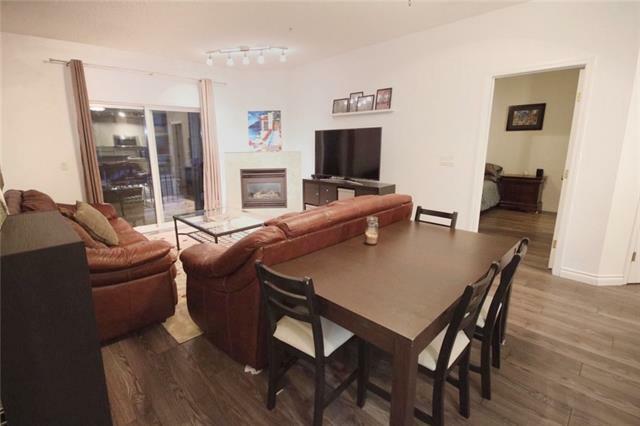 with a modern open-concept design and new laminate floors and paint. As you enter you will be greeted with 9-foot ceilings, a spacious and warm living room with fireplace and tons of natural light. Off the living room is a wonderful balcony with duradeck and natural gas plug for the BBQ. 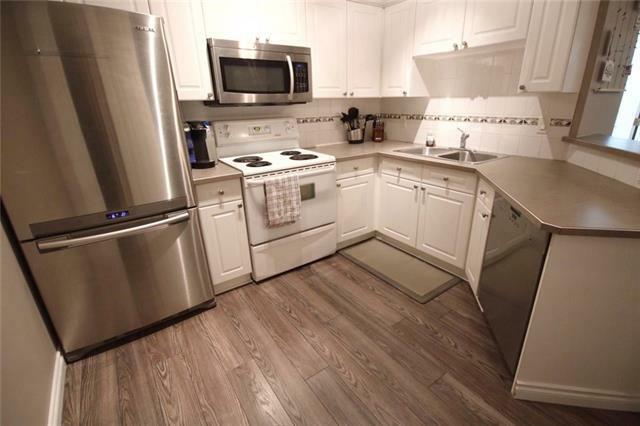 The kitchen is complete with stainless steel appliances, corner pantry, and white cabinets with tile backsplash. 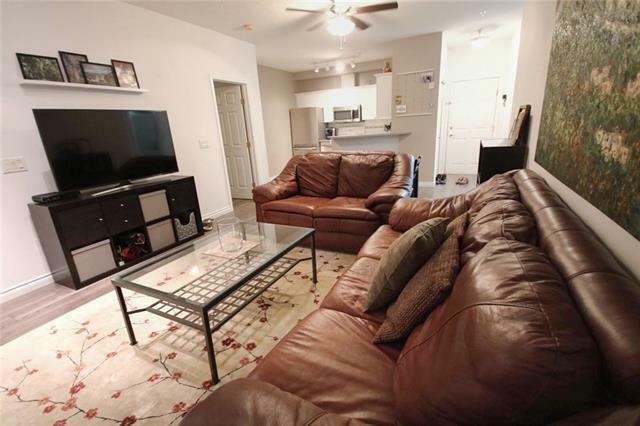 Two large bedrooms are featured on either side of the living room. One being a master bedroom with its own 4pc bathroom and his and hers walk-in closet. Across from it is a guest bedroom and an additional 4pc guest bathroom as well as a stackable washer and dryer with space for storage.